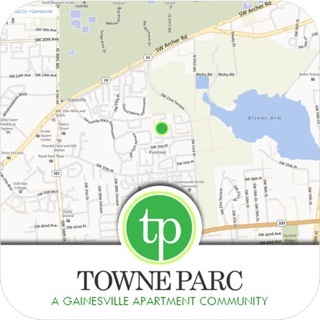 Daily fitness and wellness is as easy as riding a bike! 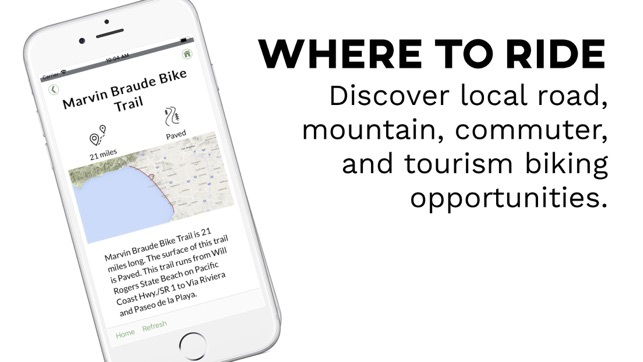 My City Bikes Los Angeles is a community resource for residents and visitors of Los Angeles, CA to find local cycling routes for transportation, road biking, mountain biking and sightseeing. 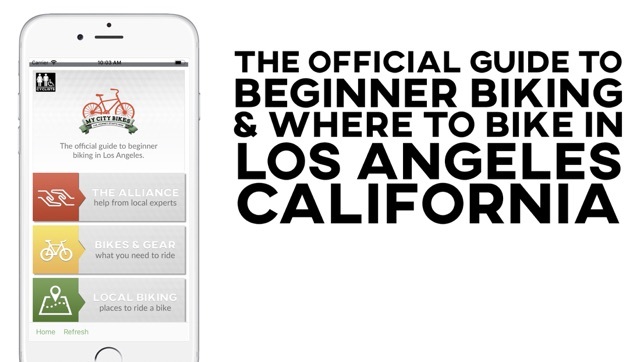 My City Bikes Los Angeles encourages you to hop on a bike and ride for fitness, transportation or just plain fun with this pocket guide that will help you find just what you need to get on the bike. 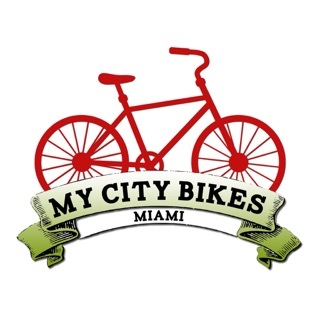 Make biking a part of your lifestyle to improve your overall health, the health of the community and the environment. 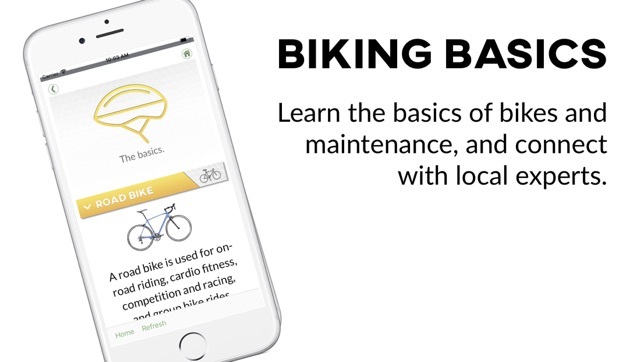 Learn the basics of bikes and maintenance with advice from local beginner-friendly bike shops, and keep up on the latest local bicycle access and infrastructure. Understand the difference between road, mountain, commuter and cruiser bikes, pick your favorite and go for a ride!